During the process of translating the Book of Mormon, Joseph Smith and Oliver Cowdery “on a certain day [in the month of May] went into the woods to pray and inquire of the Lord respecting baptism for the remission of sins” (Joseph Smith—History 1:68). In response, the Lord sent John the Baptist to confer upon them the Aaronic Priesthood, to instruct them concerning the nature of its authority, and then to command them to ordain and baptize each other (vv. 68–72). This statement indicates that it was the Book of Mormon itself, and especially the Savior’s instructions concerning baptism found in 3 Nephi 11, that led to this important event in Church history. Yet, considering how frequently baptism and authority are discussed in the Book of Mormon, 3 Nephi may have only been the final impetus that sent them into the woods to pray. It seems likely that Mosiah 18 would have been the first instance in the translation process that prominently featured information about priesthood authority, baptism, and the founding of a church of Christ. It states that Alma baptized “having authority from the Almighty God” (v. 13), and “whosoever was baptized by the power and authority of God was added to his church” (v. 17). Moreover, “Alma, having authority from God, ordained priests” among his followers (v. 18, emphasis added). The importance of receiving authorized and properly administered baptism would have been especially pronounced, though, in the account of the Savior’s ministry found in 3 Nephi. As in Joseph Smith’s day, the proper mode of baptism was disputed anciently among the Nephites (see 3 Nephi 11:28). This led the Savior to explicitly describe and clarify the process. Jesus taught, “And now behold, these are the words which ye shall say, calling them by name, saying: Having authority given me of Jesus Christ, I baptize you in the name of the Father, and of the Son, and of the Holy Ghost. Amen. And then shall ye immerse them in the water, and come forth again out of the water” (3 Nephi 11:24–26). According to Daniel C. Peterson, “The passage [in 3 Nephi] that features ordination for authority to baptize was probably translated within, at the most, five weeks of the report of Alma and the waters of Mormon.” Thus because of the rapid pace of the translation, the translators would have, in just over a month’s time, come across multiple references to baptism and priesthood authority—topics which culminated in importance during the Savior’s ministry in 3 Nephi. Recognizing that conferral of priesthood authority in this dispensation was sparked by translating the Book of Mormon and pondering upon its message is instructive. Richard L. Bushman reported that during the translation process, Joseph and Oliver would pause “occasionally to talk over the unfolding story of the Nephites.” Such discussions indicate an intent interest in the ancient record and a willingness to study its revelations out in their minds (see Doctrine and Covenants 9:8). Elder Joseph B. Wirthlin taught, “We are constantly reminded through the scriptures that we should give the things of God much more than usual superficial consideration. We must ponder them and reach into the very essence of what we are and what we may become.” By studying out and pondering upon the revelations already given in the Book of Mormon, Joseph Smith and Oliver Cowdery discovered what they could become—bearers of the Holy Priesthood of God. Lucy Mack Smith even recalled that in response to their interest, these young translators received a direct revelation to go into the woods to pray: “One morning they sat down to their work, as usual, and the first thing which presented itself through the Urim and Thummim, was a commandment for Joseph and Oliver to repair to the water and attend to the ordinance of Baptism.” The process of spiritual growth is thus “revelation upon revelation, knowledge upon knowledge” (Doctrine and Covenants 42:61), the prior things preparing and pointing the way toward greater knowledge, instruction, and authority (see Alma 12:9–11, cf. Abraham 1:2). 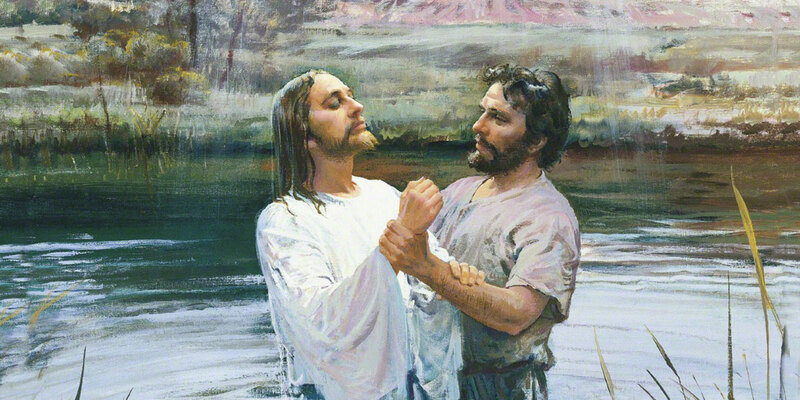 Not only did Jesus Christ and prophets in the Book of Mormon frequently teach about baptism and priesthood authority, but, as described by Scott H. Faulring, they “directly linked the baptismal ordinance with membership in the Lord’s church.” It is thus not entirely surprising that this sacred text inspired those translating it to seek guidance about how to restore Christ’s church anew in the “dispensation of the fullness of times” (Doctrine and Covenants 112:30). Michael Hubbard MacKay and Gerrit J. Dirkmaat, From Darkness Unto Light: Joseph Smith’s Translation and Publication of the Book of Mormon (Salt Lake City and Provo, UT: Deseret Book and Religious Studies Center, Brigham Young University, 2015), 130–134. Joseph Smith further clarified that this was “on the fifteenth day of May, 1829” (Joseph Smith—History 1:72). Although of great importance, Joseph and Oliver initially refrained from openly sharing this miraculous conferral of authority and their mutually administered ordinations and baptisms. Instead, they kept this sacred experience to themselves, due to the “spirit of persecution which had already manifested itself in [their] neighborhood” (Joseph Smith—History 1:74). For further analysis of Joseph’s and Oliver’s reasons for safeguarding this spiritual experience, see Steven C. Harper, “Trustworthy History?” FARMS Review 15, no. 2 (2003): 288–293; Richard Lyman Bushman, Joseph Smith: Rough Stone Rolling (New York, NY: Knopf, 2005), 75–76. Oliver Cowdery, “Letter I,” Messenger and Advocate 1, no. 1 (1834): 15. Oliver Cowdery commented that after writing and reflecting upon the account of 3 Nephi, “the question might be asked, have men authority to administer in the name of Christ, who deny revelations?” This rhetorical question further suggests that it was 3 Nephi that most strongly influenced Joseph and Oliver’s quest for baptism and authority. Cowdery, “Letter I,” Messenger and Adovcate, 15. 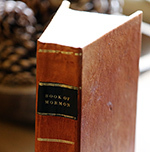 Recognizing that the book of Mosiah was likely the first portion of the Book of Mormon to be translated (aside from the lost 116 pages), Daniel C. Peterson commented that its pages contain an “important piece of evidence for what the very earliest Latter-day Saints might have known or at least encountered about priesthood.” Daniel C. Peterson, “Authority in the Book of Mosiah,” FARMS Review 18, no. 1 (2006): 150. Michael Hubbard MacKay and Gerrit J. Dirkmaat, From Darkness unto Light: Joseph Smith’s Translation and Publication of the Book of Mormon (Provo and Salt Lake City, UT: Deseret Book and Religious Studies Center, Brigham Young University, 2015), 131. When President Martin Van Buren asked wherein the Latter-day Saints “differed in [their] religion from the other religions of the day,” Joseph Smith said, “we differed in mode of baptism and the gift of the Holy Ghost by the laying on of hands.” Letter to Hyrum Smith and High Council, December 5, 1839, p. 88, online at josephsmithpapers.org. For a brief overview of how the ordinance of baptism was corrupted in the early centuries of Christian history, see Tad R. Callister, The Inevitable Apostasy and the Promised Restoration (Salt Lake City, UT: Deseret Book, 2006), 233–236. For a treatment of the separate, but related, topic of disputations over infant baptism in the Book of Mormon, see Book of Mormon Central, “Why Did Moroni Include Mormon’s Condemnation of Infant Baptism? (Moroni 8:12),” KnoWhy 253 (December 12, 2016). Scott H. Faulring has noted that “the baptismal prayer in the 1829 Articles and in the 1830 Articles and Covenants begins with the phrase Having authority given me of Jesus Christ (3 Nephi 11:25) rather than Having been commissioned of Jesus Christ, as it reads today in Doctrine and Covenants 20:73. The prophet Joseph Smith revised the earlier wording in that verse when he published the Articles and Covenants in the first edition of the Doctrine and Covenants in 1835.” This suggests that baptismal ordinances in the early church used the phrasing directly from the Book of Mormon instead of the revised wording in Doctrine and Covenants 20. Scott H. Faulring, “The Book of Mormon: A Blueprint for Organizing the Church,” Journal of Book of Mormon Studies 7, no. 1 (1998): 66. The importance of receiving authority to baptize would also have been confirmed when Jesus stated that he gave “power” to His disciples so they could “baptize [the people] with water” (3 Nephi 12:1). Peterson, “Authority in the Book of Mosiah,” 186, n. 49. Peterson here seems to have been talking specifically about 3 Nephi 7:25, which would have been translated only a short amount of time before the Savior’s statements in 3 Nephi 11. See also John W. Welch, “The Miraculous Translation of the Book of Mormon,” in Opening the Heavens: Accounts of Divine Manifestations, 1820–1844, ed. John W. Welch (Salt Lake City and Provo, UT: Deseret Book and BYU Press, 2005), 92–93. For further discussion of baptism and priesthood authority in the Book of Mormon, see Faulring, “A Blueprint for Organizing the Church,” 65–66. Bushman, Rough Stone Rolling, 74. Joseph B. Wirthlin, “Pondering Strengthens the Spiritual Life,” Ensign, May 1982, online at lds.org. Lucy Mack Smith, Biographical Sketches of Joseph Smith the Prophet and His Progenitors for Many Generations (Liverpool, UK: S. W. Richards, 1853), 131. Faulring, “A Blueprint for Organizing the Church,” 65. Cowdery, “Letter I,” Messenger and Advocate, 15.